If you've ever had a conversation about pit bulls, then you've probably heard about pit bull bite statistics. 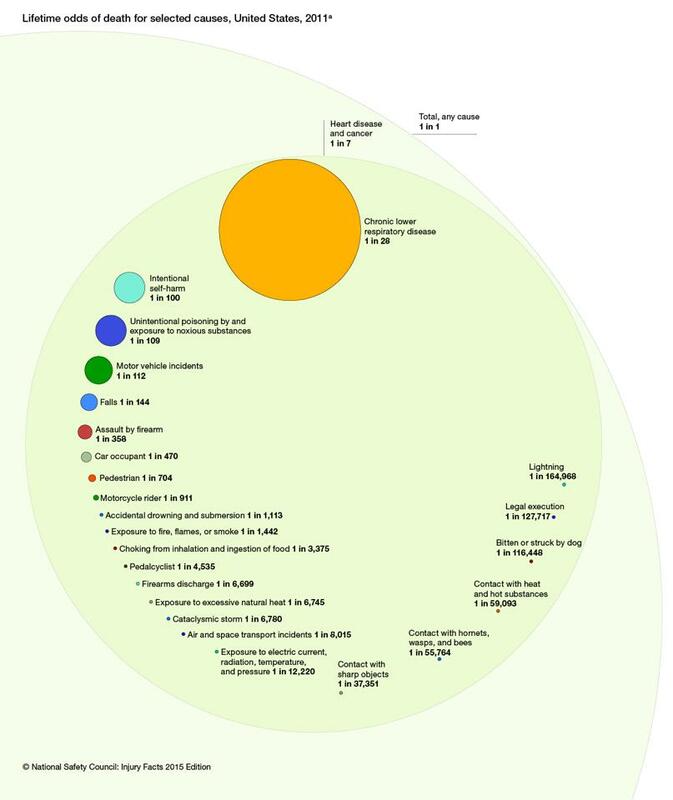 Statistics that, at face value, may seem concerning. 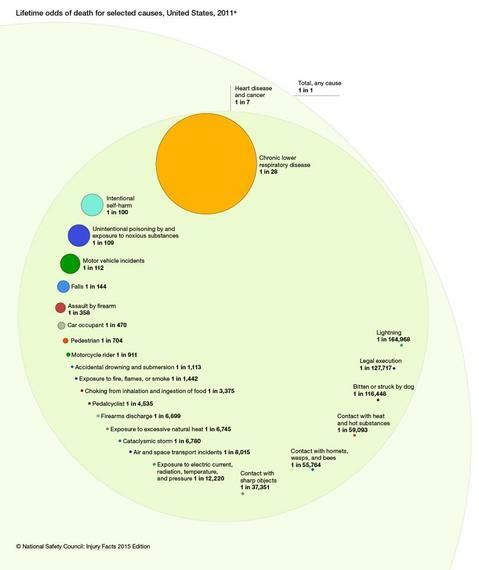 Statistics that have been used to affect public policy at times, labeling all dogs of a certain type as inherently vicious and dangerous upon birth. The thing is, it's pretty easy to make up stats that support a predetermined conclusion. Self-proclaimed "experts" can manipulate numbers and then use like-minded colleagues to "peer review" their work, thus claiming authenticity and ultimately, attempting to influence public policy. It's a trick as old as organized government, itself. Create a bogeyman, and then legislate it away. In order to look at any issue objectively, you have to first define the terms and the parameters you're working with. You have to make sure you're comparing apples to apples and more importantly, that you even know what an apple is when you see one. A)	What is a statistic? B)	What is a pit bull? 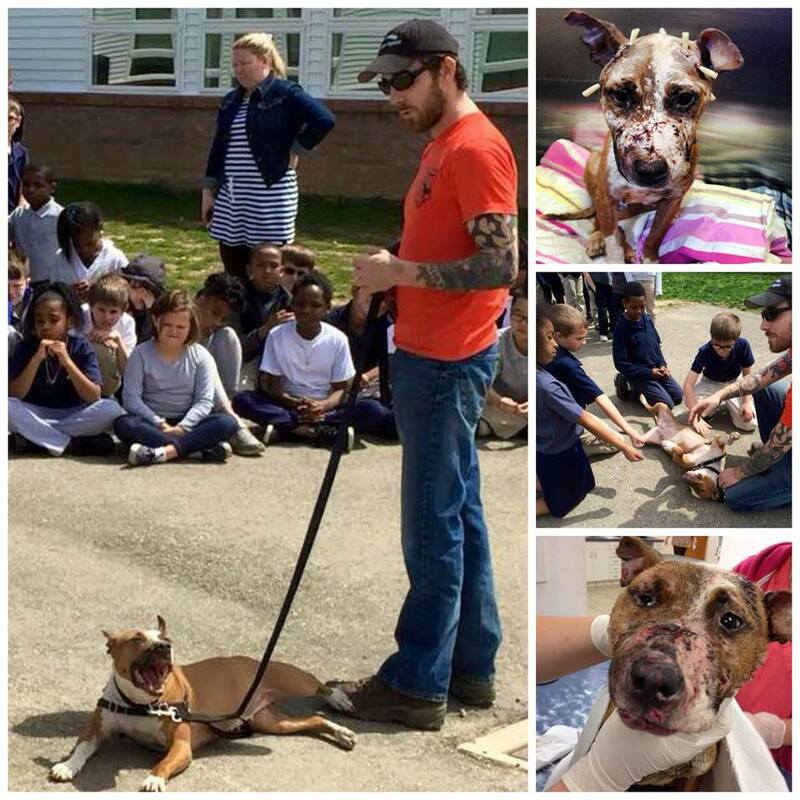 C)	How are pit bulls identified? What is a statistic? : "A calculated numerical value that characterizes some aspect of a sample set of data, and that is often meant to estimate the true value of a corresponding parameter in an underlying population." What is a Pit Bull? : It is commonly accepted that "pit bull" is not a breed but a loosely defined and general category. Definition of this category varies depending upon the source. Any blocky headed dog, or any mix of breeds that is between 35 and 100 pounds and upwards of 30 individual dog breeds may currently fall in this broad category through the use of visual breed identification. See more about visual breed identification and how genetics affect behavior here. 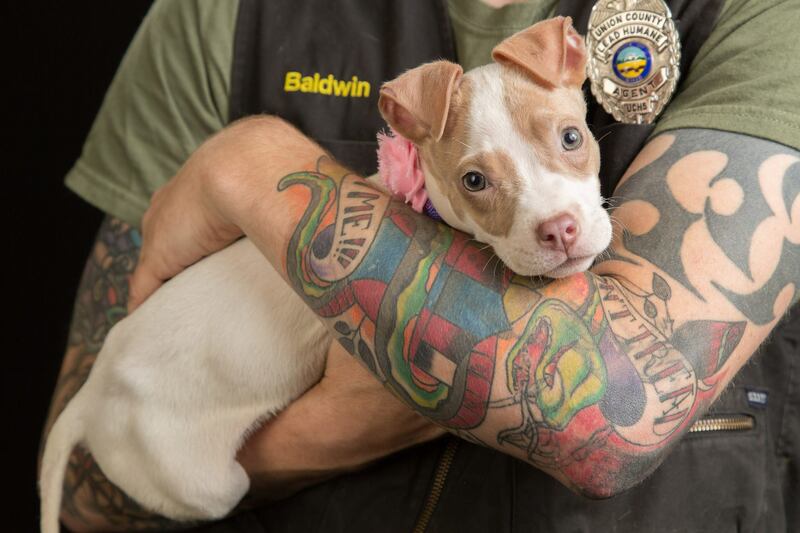 How are pit bulls identified? 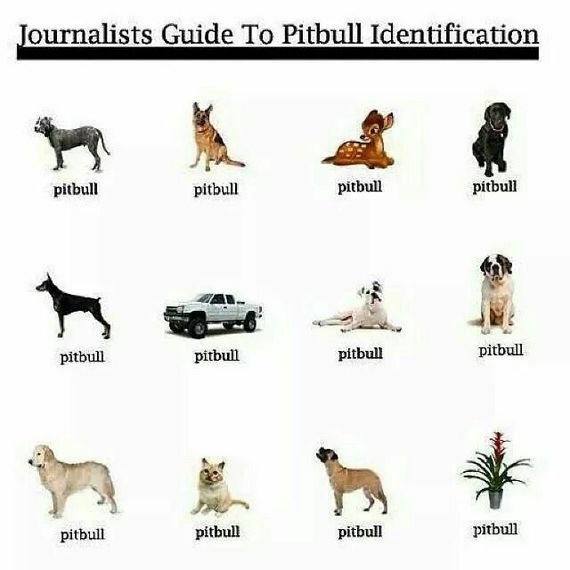 : Visual breed identification, or the extremely scientific (insert sarcasm) process of tilting your head 30 degrees to the right or left and guessing based on a few, basic traits and the inability to automatically identify the dog as something else, is how pit bulls are identified. "Based upon the observation of a handful of variable breed-associated physical traits, such as coat color, body size, skull shape and whether the ears or erect or floppy. These physical traits are found in many different breeds and are controlled by approximately 50 of the roughly 20,000 genes that create a dog." - Read more about of the science behind canine behavior, here. We could stop, right at this point. In order for a "number" to be a "statistic," it has to estimate a true value of specific data. The data has to be definable, and the parameters have to be clear. 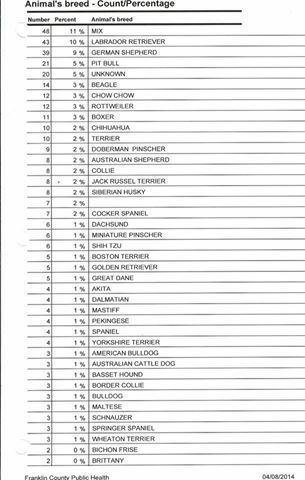 If you aren't going to play the breed-name game to make the numbers up, then you can't use those same numbers to play the breed-blame game, either. But let's pretend that all validity wasn't thrown out the window just yet, where do these numbers come from, after all? Dog bite "statistics" are based off of media reports found online where pit bull type attacks are proven to be reported thousands of times more often than dog bite stories involving other breeds. Hardly a scientific, objective, or accurate way to collect information and in fact, there is a proven bias and over reporting when it comes to dogs labeled as pit bulls. This "google-research" is then taken and compared with media reports involving individual, specific dog breeds. Like, a Labrador Retriever. "Domestic, U.S. made vehicles are unsafe for the public and should be banned because there are more Dodge, Jeep, Ford, Chevy, and Lincoln crashes each year in the U.S. than Honda crashes." --Said by nobody, ever. Which is why State Farm Insurance, the largest insurance company who collects more data than the U.S. Government and makes policy decisions simply based on risks and underwriting, does not discriminate against this loosely defined group of breeds. "Decisions are made on a case by case basis for those instances," State Farm spokeswoman Heather Paul told HuffPost. 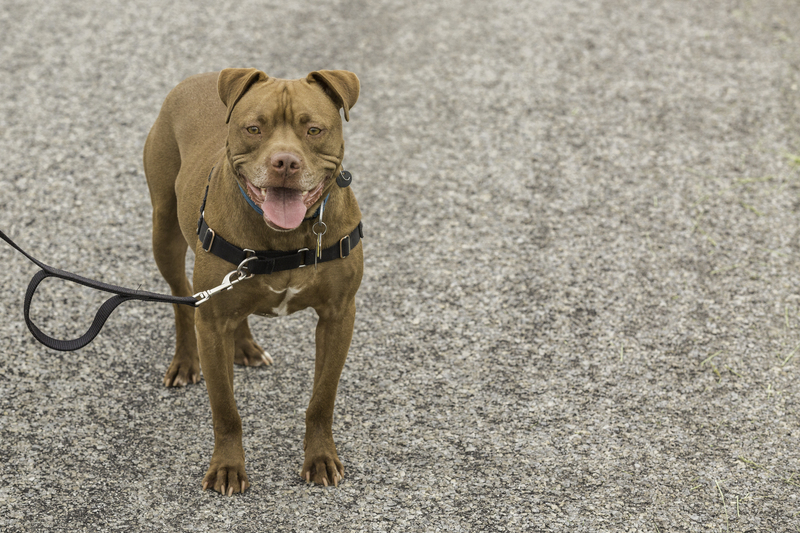 "Pit bulls in particular are often misidentified when a bite incident occurs, so reliable bite statistics related to the dogs' breed are unreliable and serve no purpose." Now that we know breed specific information is unreliable, what can we look at? The U.S. National Safety Council has collected data on your likelihood of being killed by a dog of any breed, as well as your likelihood of being killed by other risks. The data is defined and the parameters are clear. In 2014, the U.S. National Safety Council showed that your chances of dying by a dog bite are 1 in 116,448. That's just a number though; to put that number into perspective, your chances of dying by legal execution are pretty similar, 1 in 127,717. You are, in fact, twice as likely to die by a hornet, bee or wasp sting than a dog, 1 in 55,764. Maybe more striking is the fact that you are FAR more likely to die from eating a hot dog (choking from inhalation of food) than from being attacked by an actual dog. Death by a real dog- 1 in 116,448. Death by a hot dog- 1 in 3,375. According to the CDC, only 1.8% of all dog bites treated in Emergency Departments result in hospitalization. When a dog attacks, a child between 5-9 is statistically most likely to be bitten. As a parent, I can only imagine the horror of feeling helpless while your child is being attacked or bitten. When a pit bull type dog is involved in a bite incident, it is instantly used as a way to drive traffic to websites as the comments section is flooded with people screaming and yelling why all pit bulls are good or why all pit bulls are bad. 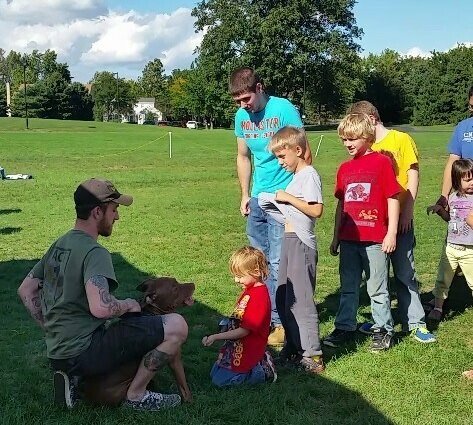 In the midst of the mudslinging, we miss the critical opportunity to educate children on dog bite prevention, to advocate for effective dangerous dog ordinances that are breed neutral but give animal control officers the tools to do their jobs and keep communities safe, and to provide spay/neuter assistance and education to the public. The three main suggestions the Centers For Disease Control and others offer to reduce dog bites and create safer communities. We will never live in a world without dog bites or risks, nor will we ever live in a world without irresponsible people. We can, though, live in a world where dogs are judged as individuals and by their actions rather than their appearance, and owners are held accountable for the actions of their dogs.